What's your opinion of humanity? I ask, because it's about to be lowered. The box is almost seven by five inches and one and a half inches thick. There's room for quite a lot in here. Only, in this case, it's a lot of air. In case it's unclear just how ridiculous this is, here's a picture with everything - yes, everything - unpacked. Turns out, when the back makes a big deal about how the cards include 12 contests, 12 party themes, and 12 drink recipes, it neglects to mention these are crammed into the same 12 cards. That, two dice, and some cheap knickknacks are all that's included. This is the second die-cast vehicle I've looked at for Mainlining Christmas, the first being the Batman: Noel Batmobile. These are part of an impressively large line of monthly Batman vehicles from Eaglemoss Collectibles. The line represents stories from all forms of media: comics, the campy 1966 series, various animated incarnations of Batman, and (obviously) video games. 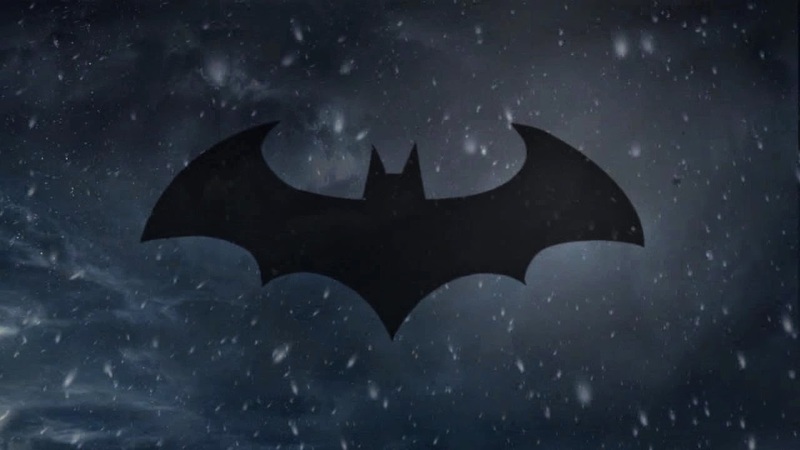 While Batman might not be the first character you think of when you hear Christmas music, he's had his share of holiday misadventures, including the 2013 video game, Batman: Arkham Origins. 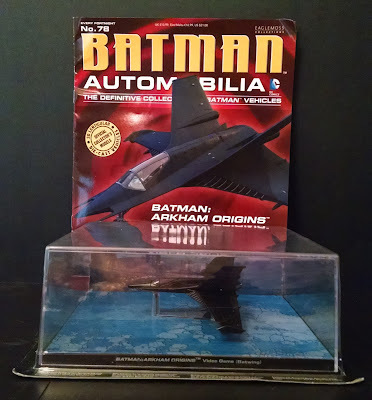 I was a big fan of the game, so I was excited when Eaglemoss produced a toy version of the Batwing. Let's start with the magazine. In lieu of actual packaging, each of these comes with a magazine. Actually, I'm a little unclear whether the vehicle or the magazine is technically the accessory, but I doubt anyone shells out $20 for the ten page pamphlet. 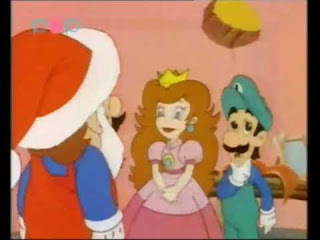 Okay, this isn't 'officially' a Christmas Game. However, it was recommended to us as a good game to play at Christmas, and really, when else in the year do you expect to give and receive gifts to/from everyone you know? 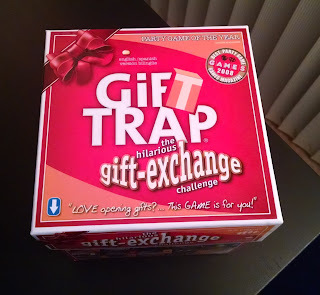 You can think of Gift Trap a little bit like the old Newlywed Game, but with your friends. For each round, a selection of possible gifts are laid out on the board. Depending on which deck you play with for a specific round, these gifts have an average value. For example, if you play with the cheapest deck, the gifts might include a tool belt and a webcam. In the most expensive deck, they might include a luxury trip or a collection of vintage champagne. Some of the gifts are funny, some are impressive, and some raise questions, which your group can choose to discuss or let each person make their own assumptions. All the player pieces come in these cute tulle bags. I bought this game about 3 or 4 years ago off a clearance shelf in (I think) a Barnes and Noble. I probably paid less than a dollar. If you are interested in the true Mainlining Christmas Experience... If reading this blog makes you want to be here, bearing witness to the full depth of the holiday, I recommend you leave this page and find a way to buy this game immediately. Okay, are the suckers gone? The packaging design is cute: the box folds out into a little board with four tracks. 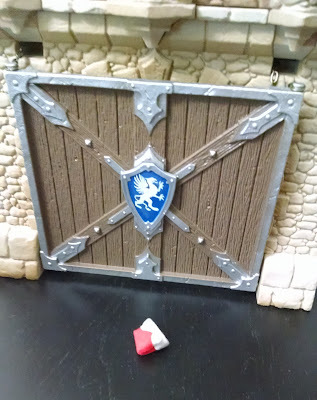 Inside, you'll find a deck of cards with questions on both sides, a sheet of directions, four cheap pawns and a die you have to create with stickers. 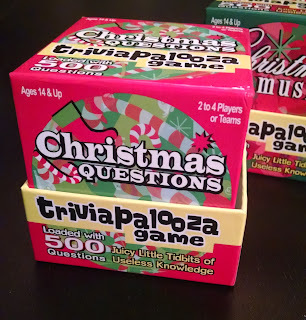 We actually have both the Christmas Questions and Christmas Music editions of this game, and in one of the boxes the sticker sheet wasn't properly die-cut, just leaving us with a solid sheet. We picked up this card game on sale at a Go! Games and Toys in the mall after last Christmas. It's as simple as can be: just a deck of cards and some very brief instructions. Each player selects one of four categories and another player reads the selected question off the top card. The first person to get two right in every category wins (you need to keep track on a piece of paper, not provided). It serves as many players as are willing to sit around the table with you. 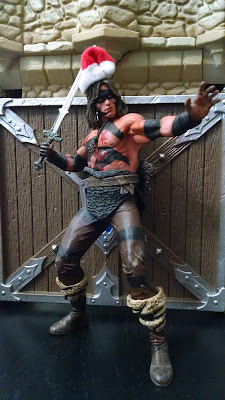 Last January, I found myself in a Toys R Us, which isn't all that unusual for me (that's where you find all the toys, after all). 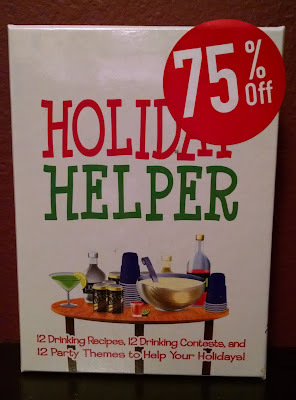 I came across a bin of discounted merchandise, including a handful of Christmas items. 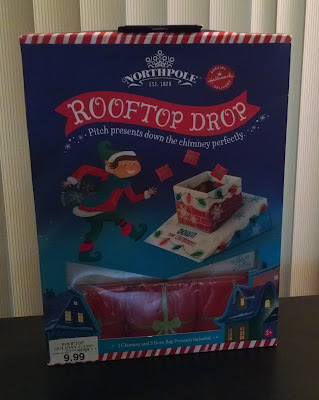 One of them was a bizarre looking game called "Rooftop Drop" branded as part of Hallmark's Northpole line. It had a sticker reading $9.99 on it, but I was skeptical - it was too long past the holiday, and things have a tendency of getting marked down in the system without being updated on the packaging. So I took it over to a price-check machine to see how much it was actually going for. It was $0.03. Assuming the $10 price tag was accurate, that means this was approximately 99.7% off. People have been telling me I have to play the Arkham games since the first one was released. For years, I've heard that they were fantastic, that they offered the experience of being Batman, that the writing and voice acting were great, and so on and so forth. But I just ignored them, not because I thought they were wrong, but because I was worried they might be right. Then, last year, I heard something about the third game in the series that made me pay attention. The story is entirely set on a single night when eight assassins are hired to try and kill Batman. And that night is December 24th. I knew it was just a matter of time. That time, incidentally, was the duration it took for Steam to mark Arkham Origins down to $7.49 during one of their ridiculously amazing sales. 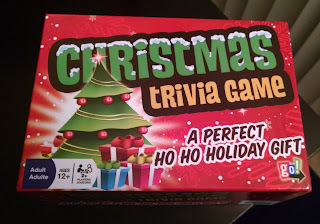 I bought it and set out to experience the holiday-fueled mayhem.